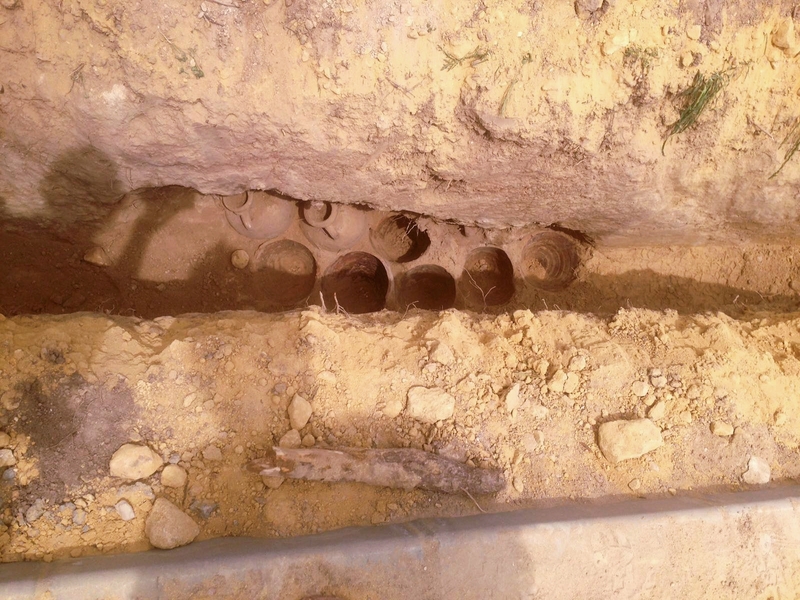 On Wednesday, April 27th, workers digging a trench in Olivar del Zaudín Park in Tomares, a suburb of Seville, Spain, discovered a cache of clay jars nestled three feet under the surface. 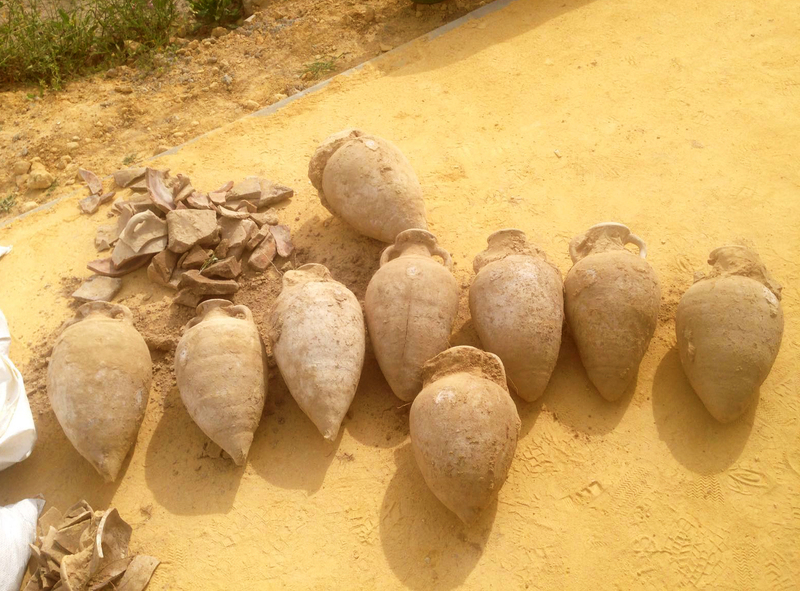 They alerted the Civil Guard who found there were 19 Roman-era amphorae crammed full of bronze coins from the late 3rd and early 4th century A.D. The number of coins has yet to be determined, but the total weight of them is a staggering 600 kilos (1,300 pounds). 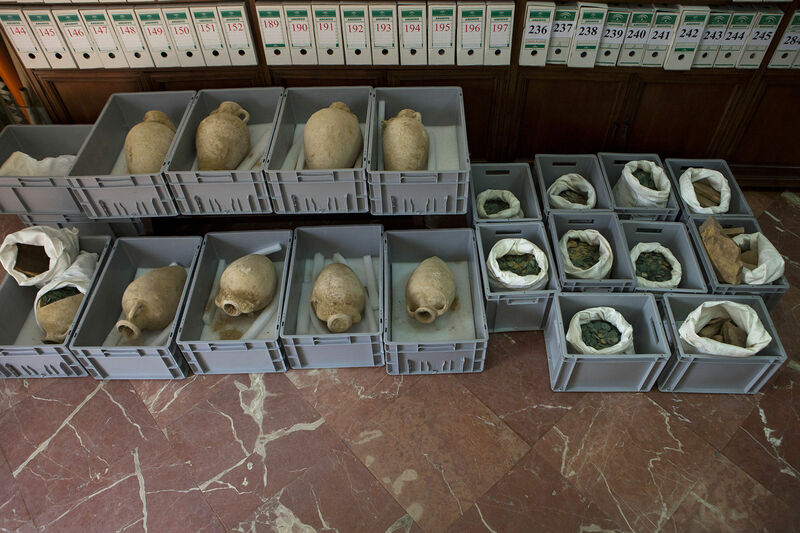 The amphorae and coins were transported to the Archaeological Museum of Seville where conservators have begun to clean, stabilize, identify and count them. Museum director Ana Navarro is not yet able to estimate the total number of coins in the collection. There are tens of thousands of them, that much is clear from the weight. 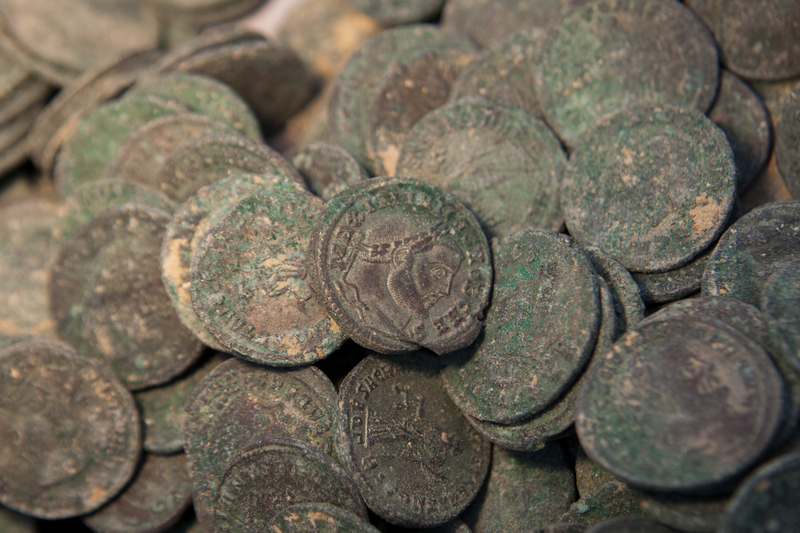 Initial examination has found the coins were minted during the reigns of the emperors Maximian (r. 286-305) and Constantine (r. 306-337) and appear to be in brilliant uncirculated condition, with no signs of wear whatsoever. They are made of bronze but some of them show signs of having been silvered, ie, coated with a thin layer of silver totalling maybe four or five percent of the coin weight. The amphorae are special too. 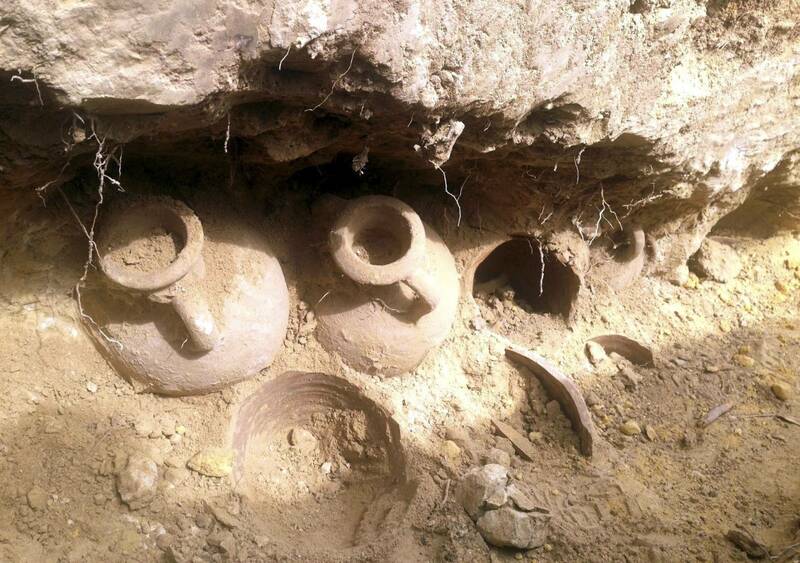 Out of the 19 amphorae, nine of them were perfectly intact with their coins untouched inside. 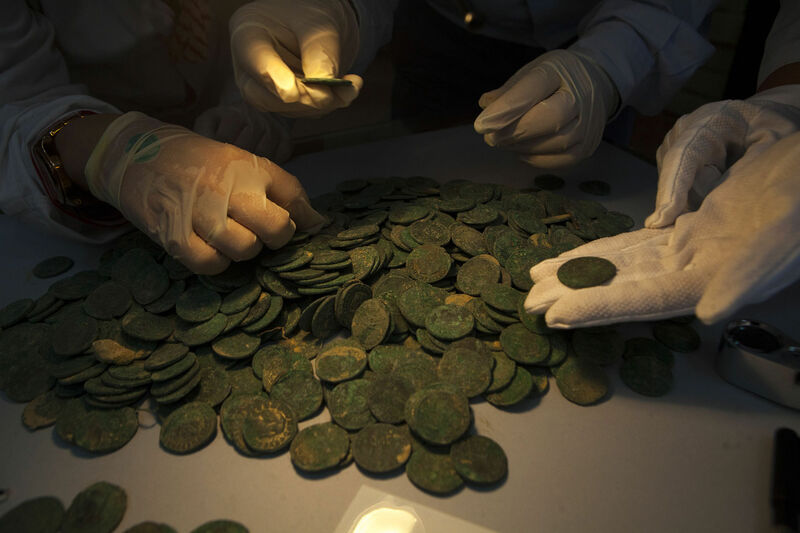 The other ten were damaged by the excavator at the time of discovery (a cloud with a silver lining because it gives archaeologists the opportunity to see how the coins were packed in the vessels). 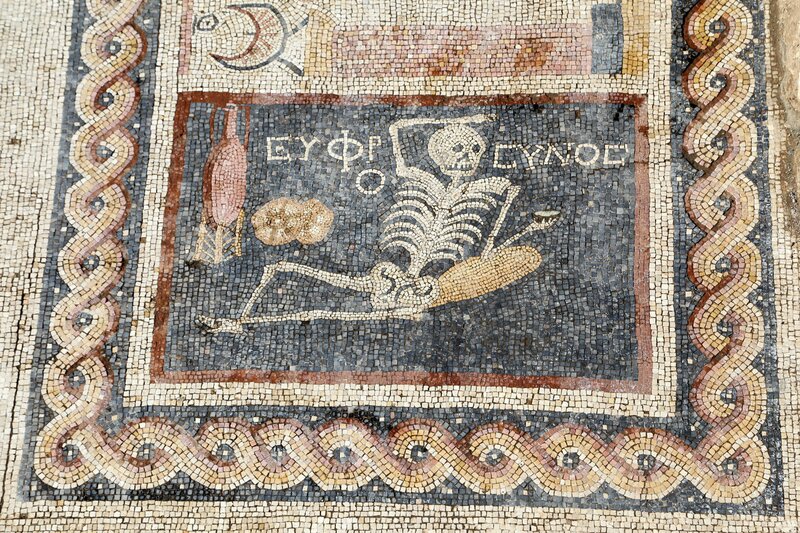 They are not of the kind used to transport the wine, fermented fish intestine sauce and grains that Romans were so fond of. They’re smaller than standard merchant amphorae and may have been designed specifically to carry cash. The amphorae were placed vertically in packed earth up to their shoulders and then covered by bricks and pieces of broken ceramic. 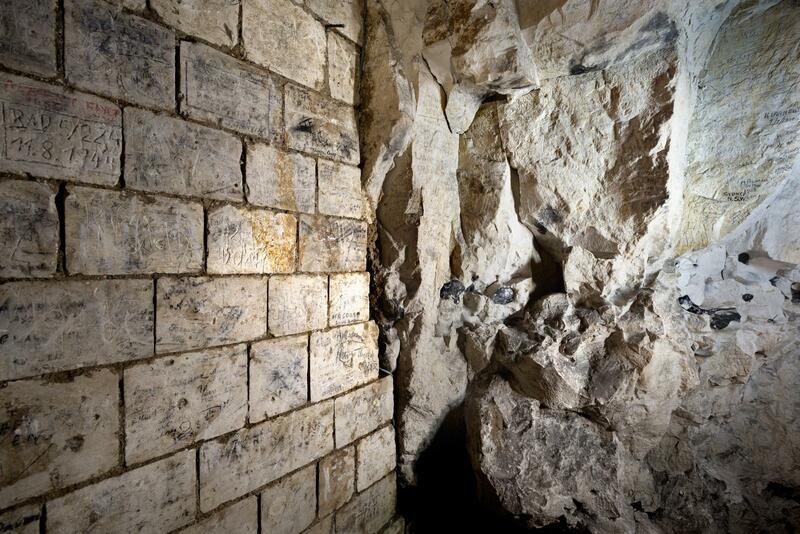 It’s not clear if they were deliberately hidden underground due to social unrest, violence or danger, or if this was a deposit space inside a fort or military structure of some kind. 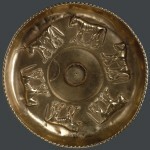 The find is unique in Spain and likely the rest of the Roman world. 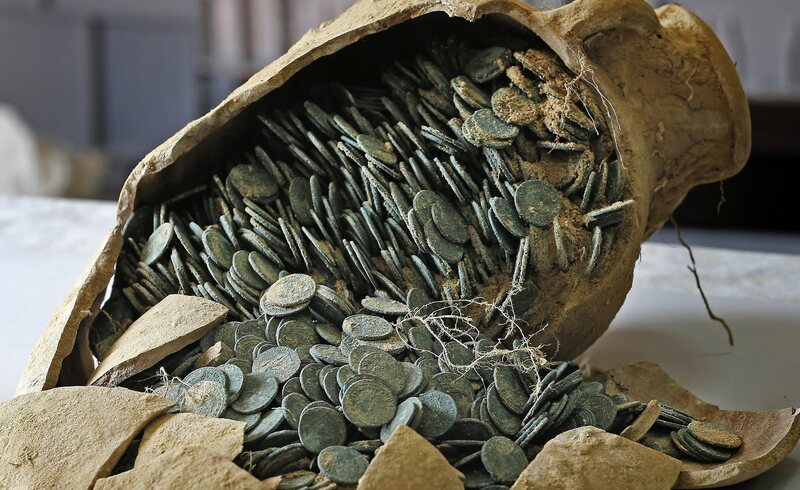 Navarro and her team contacted researchers in Britain, France and Italy and they all agreed that they have never seen so large and homogeneous an accumulation of coins from the late Roman empire. Because of their homogeneity, tight date range and amphorae, the coins were not a private treasure. Navarro speculates that they could have been pay for the army or civil servants, or perhaps destined for the imperial tax coffers. Less than a tenth of the coins have been examined at this point, so it’s too early to draw any conclusions. The region in which they where they were found was a powerful economic center in the Roman Spain province. The ancient city of Italica, founded in 206 B.C. by Publius Cornelius Scipio, future victor over Hannibal in the Second Punic War, is just next door. Emperors Trajan and Hadrian were born there. It’s a good thing the coins weren’t kept in the big city, however, as after its decline the nearby city of Seville, Hispalis in Roman times, used Italica as a quarry. 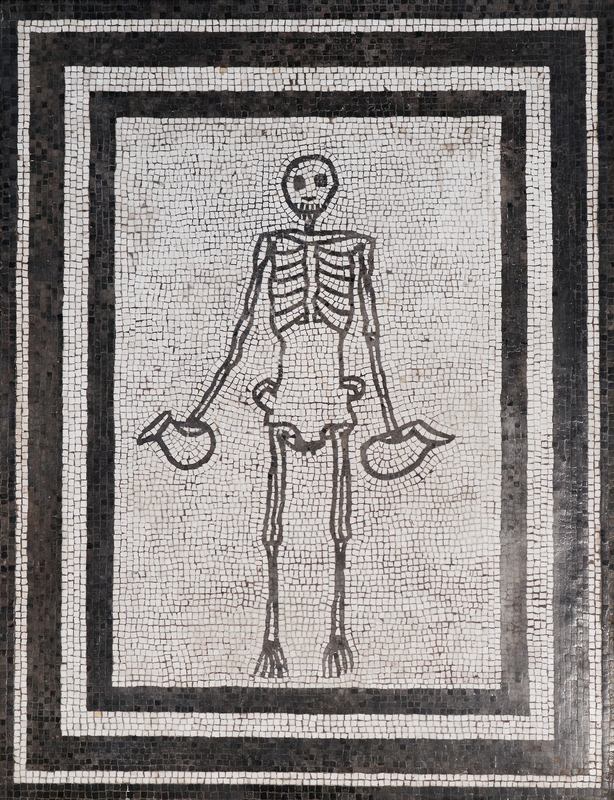 As late as the 18th century Seville was still feasting on the bones of its ancient neighbor. Seville demolished the walls of Italica’s amphitheater in 1740 and used the stone to build a dam and demolished the old Republican city in 1796 to build a road with its stone. 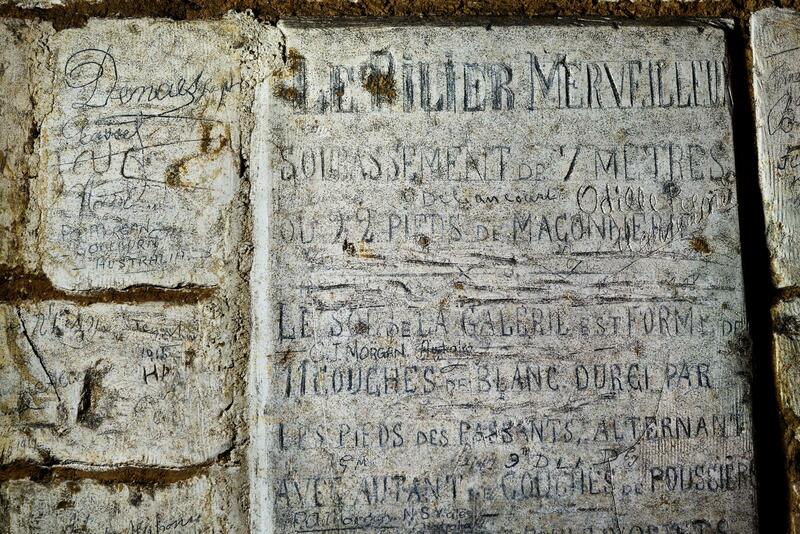 It wasn’t protected until 1810 under Napoleon. The Olivar del Zaudín Park’s land was two farmsteads in the Middle Ages, nothing worth messing with when there was a far more obvious ancient target drawing focus. They were eventually combined and made into an olive orchard. Olive trees still dot the landscape today. Just a few miles west of Seville, the 45-hectare site has never been developed and, thanks to its extensive flora and natural lagoon system with four lakes, is an ecological preserve for a plethora of nesting and migratory birds, insects, butterflies, reptiles, fish and amphibians. The same fortunate happenstance that over the millennia preserved the site for nature also preserved 19 amphorae of coins. The crew was working on a canal project as part of a regeneration plan to restore the lagoons, sustain the olive trees and eventually build a bird observatory, work which has now been suspended as a consequence of the momentous find. An emergency excavation will take place before work resumes. Tage Pinnerup was digging a new drain on his old friend Henrik Hansen’s property near the village of Kobberup on Denmark’s Jutland peninsula when he saw something sticking up out of the ground. It was a long, smooth almost rectangular piece of flint 50.5 centimeters (20 inches) long. Pinnerup had found a prehistoric axe before, so he recognized it as such, but because of how exceptionally large and finely worked it was, he figured it had to date to the Iron Age. A few days later he and Henrik Hansen found another one, this one 35 centimeters (14 inches) long. They alerted the authorities to a potential treasure find, and Viborg Museum experts determined that they were not Iron Age, but rather Neolithic flint axes dating to 3800-3500 B.C. Back then the find site was a marshy area next to Tastum Lake, long since drained and converted into arable land. 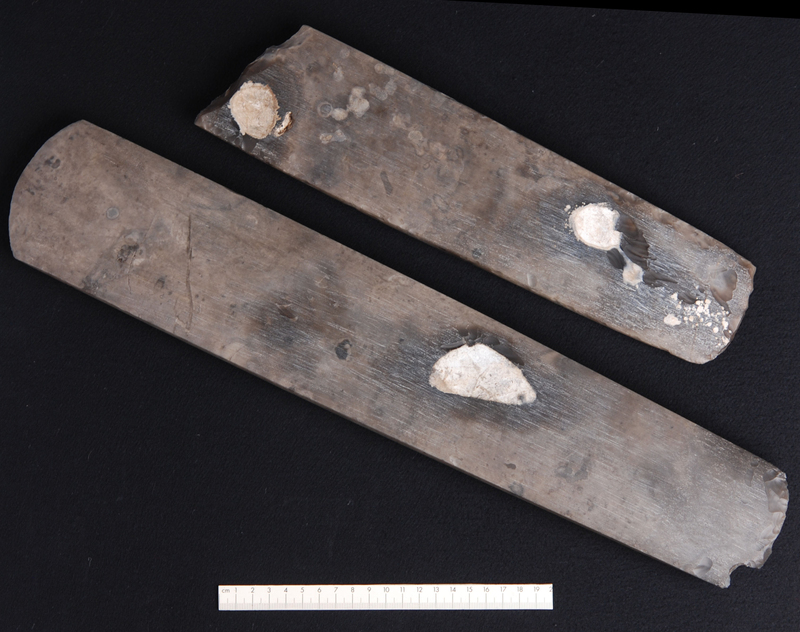 Because they were found in a bog, are a matched pair and so carefully worked, the axes weren’t likely to have been misplaced. Archaeologists believe they were deliberately deposited in the bog as ritual offerings. The 50.5 cm axe is the largest Neolithic flint axe ever discovered in Denmark. Flint is a challenging material to work. Like glass, it breaks easily and requires very careful handling. Judging from modern experiments replicating prehistoric flint tools, Kieldsen estimates it would have taken the craftsmen who produced these axes hundreds of hours to achieve so polished a result. Compare the slender length and cricket bat-like smoothness to this axe from around the same time as the Tastum axes, or these, which are about a thousand years younger and bear the characteristic divots and sheers of knapped flint. That long, slender polish suggests these were not practical tools. The flint axe was an essential tool to Neolithic farmers who used it to clear wooded land for agriculture. It had to be sturdy, thick through the middle and razor sharp at the end to do the job properly. A narrow, long, thin axe would likely crack at the first blow. It’s connection to the still-new trend of agriculture made the axe a powerful cultural symbol and well as a highly prized piece of property, which is why they have been found in the passage graves and dolmens which were built in grand style at the same time the Tastum axes were made. Archaeologists excavated the site further to see if their were any other artifacts to be found and came up empty. The axes are treasure trove and will be sent to the National Museum of Denmark for assessment next month. 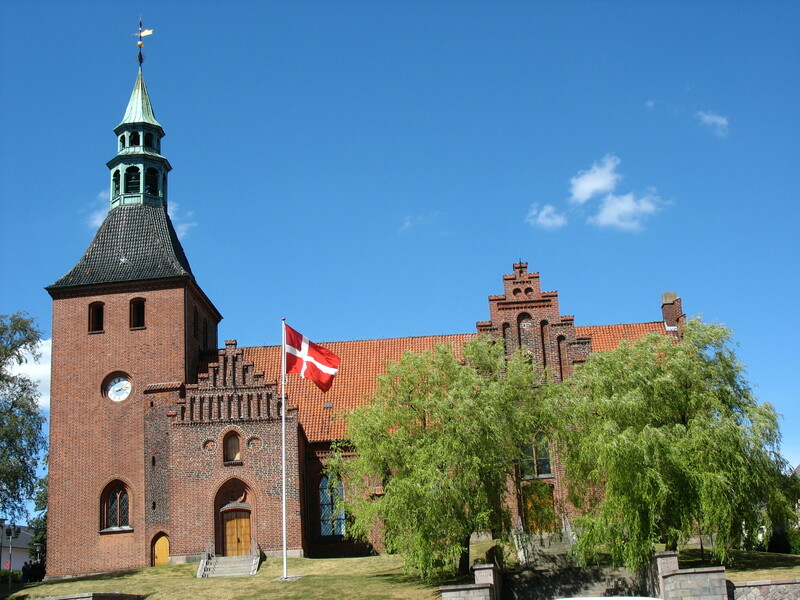 Before that happens, they will be on display at the Viborg Museum for the next three weeks. The Draken Harald Hårfagre (Dragon Harald Fairhair, named after the first King of Norway), an ocean-worthy Viking longship, set sail early this morning from Norway on a daring voyage that will retrace the steps of great explorers like Erik the Red and his son Leif Erikson, the first European to cross the Atlantic and set foot on the American continent. Sponsored by Norwegian businessman Sigurd Aase, construction on the vessel began in 2010 in Haugesund, Norway. It isn’t an exact replica of an extant Viking ship. 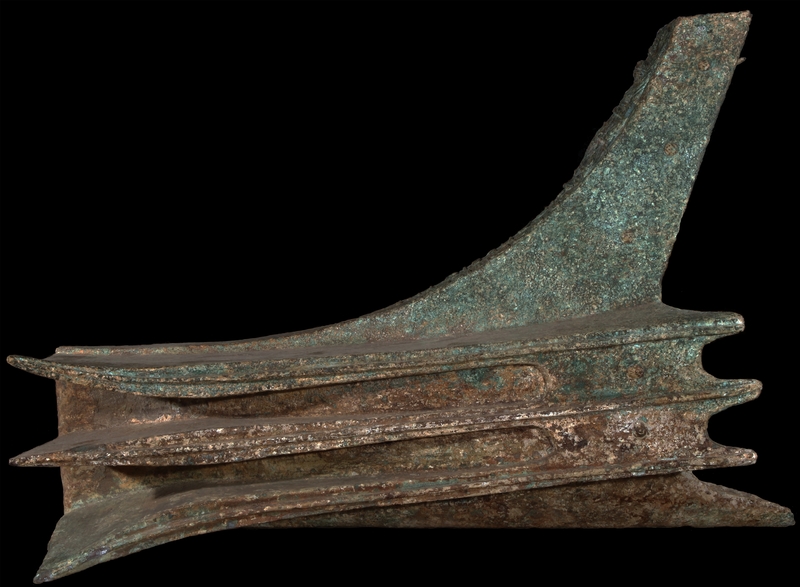 While replicas of excavated ships have been made, they don’t work very well on the ocean because the originals were burial ships. 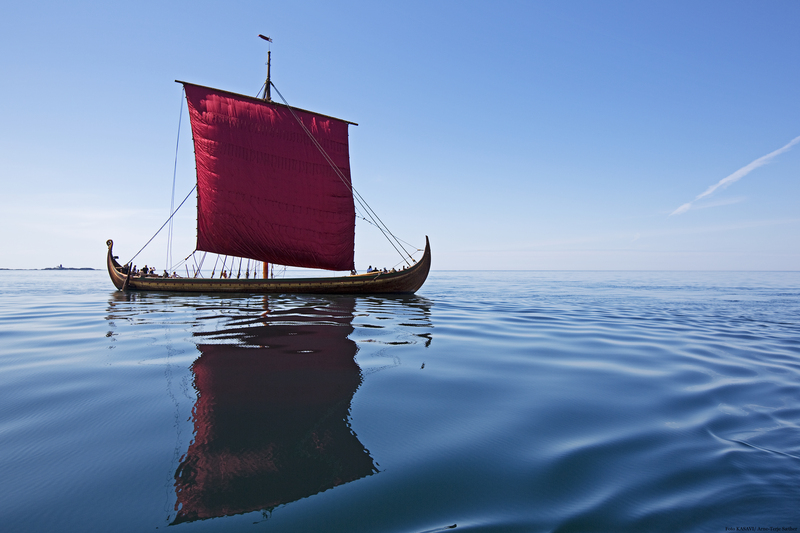 They could be rowed, but they weren’t meant for the ocean voyages that took the Vikings across half the world. 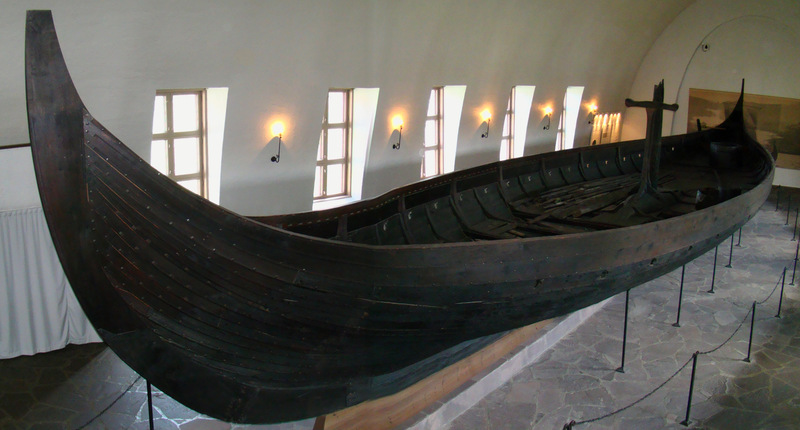 So instead of relying exclusively on archaeological remains, the builders of the Draken Harald Hårfagre combined traditional Norwegian boatbuilding knowledge, a living craft with deep roots going back to the Viking era, with archaeology — the 9th century Gokstad ship was one particular inspiration — and descriptions in the Norse sagas. 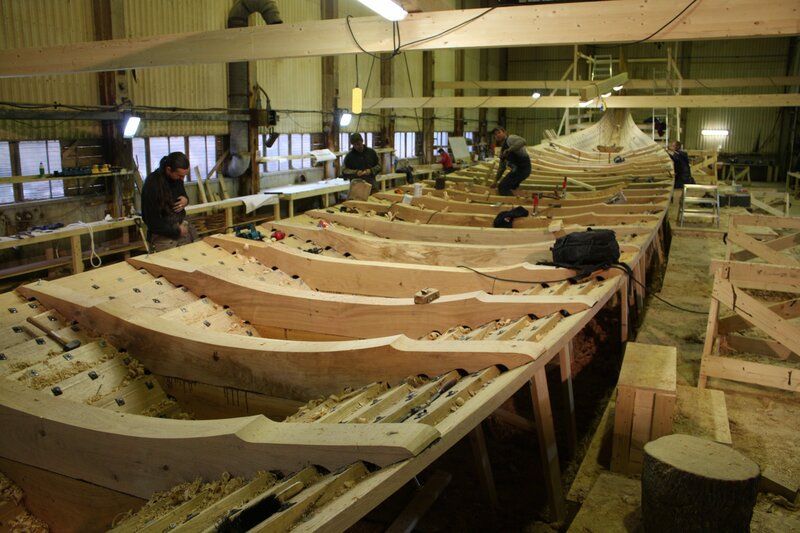 It is an open clinker-built ship with an oak hull, Douglas fir mast, hemp rigging and a silk sail. 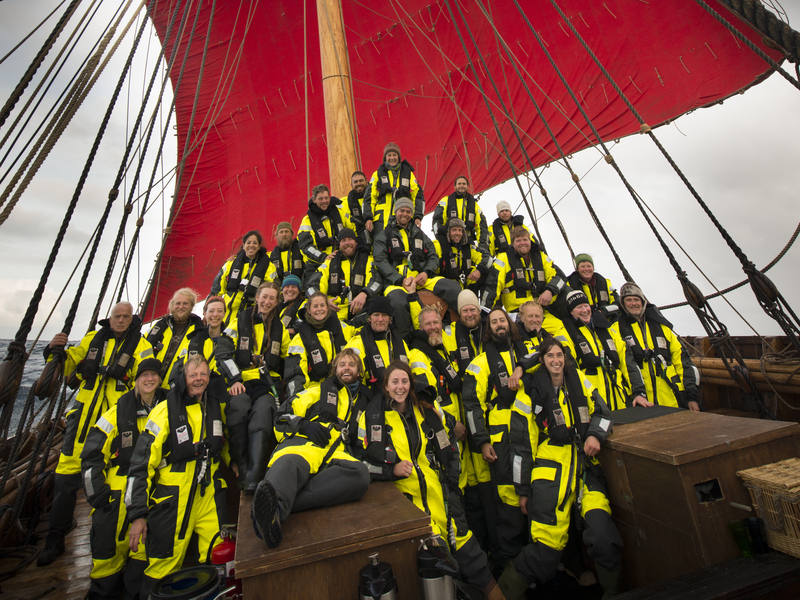 At 115 feet long, 27 feet wide with 50 oars and a 3,200-square-foot sail, the Draken Harald Hårfagre is largest Viking ship built in modern times. The aim from the beginning has been to create an operating Viking ship. That means roughing it in a serious way. There’s no under deck where the crew can rest and take shelter from the elements, just a large tent where 16 people at a time sleep in four hours shifts. The only space underneath the deck is a shallow space just large enough to carry ballast and food. The food is cooked is an open air kitchen on the deck, the ancestor of the galley discovered on the 15th century Dutch cog that was raised earlier this year. The ship was completed in 2012. 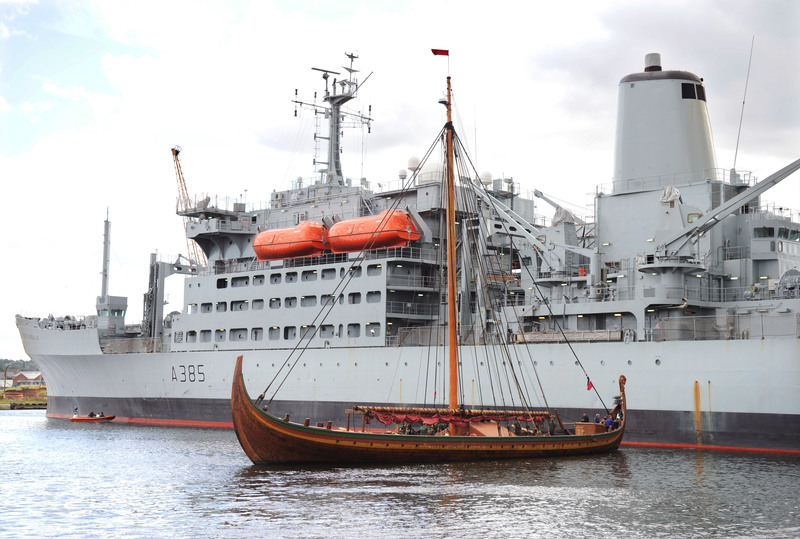 The first sea trials were held in the fjords of Norway and after some adjustments were made, it set sail on its maiden overseas voyage in July of 2014 to Wallasey, in Merseyside, northwest England, which has a strong Viking history. The mast broke and the crew had to replace it in Wallasey, but they made it work. After three weeks of repairs, the ship sailed back to Norway via the Isle of Man, the Western Isles, Orkney and Shetland without a hitch. All of this was essential practice for the big show: the transatlantic voyage to North America. 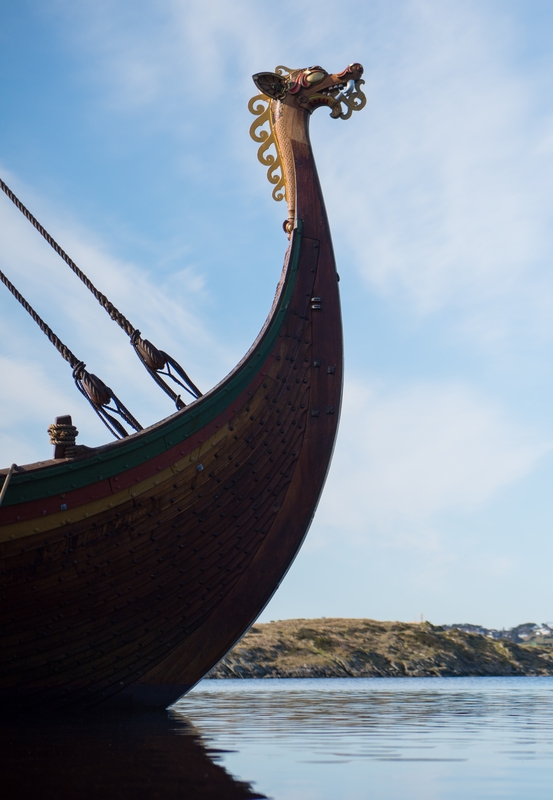 On April 23rd, the epic voyage was inaugurated with a Dragon’s Head Ceremony in which the dragon head so associated with Viking ships was mounted for the first time. The dragon’s head is traditionally not mounted until departure for longer journeys and its purpose is to protect the ship and the crew from sea monsters, bad weather, evil creatures and unforeseen raids. The ships mythological head is uncovered in the ceremony, and the great adventure of sailing the historical route from Norway to Iceland, Greenland, Canada and the USA will be wished fair winds and following seas. 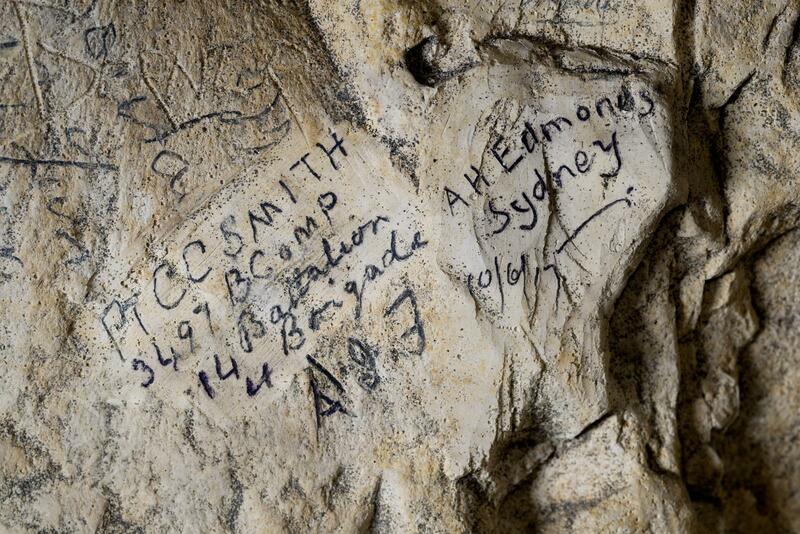 The ceremony was streamed live on YouTube to the delight of history nerds everywhere. The America Expedition is mind-bogglingly ambitious. 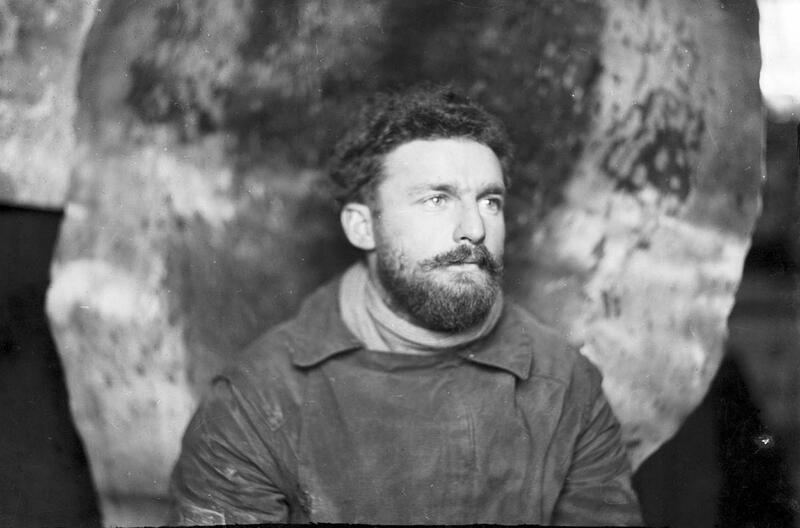 Captain Björn Ahlander and a crew of 32 damn hardy men and women selected from 4,000 applicants have embarked on a voyage of 6,000 miles that will taken them to Iceland, Greenland, through the iceberg fields of the North Atlantic to Newfoundland, then to Quebec City, Toronto and into the US via the Great Lakes. The first US port of call will be Fairport, Ohio, and then on to Tall Ship festivals in Bay City, Michigan, Chicago, Illinois, Green Bay, Wisconsin and Duluth, Minnesota. Then it will head back east again through the Great Lakes, the canals of New York State to the Hudson River. Yes, a Viking longship will be going through canal locks. The sail is coming down for that part, obviously. 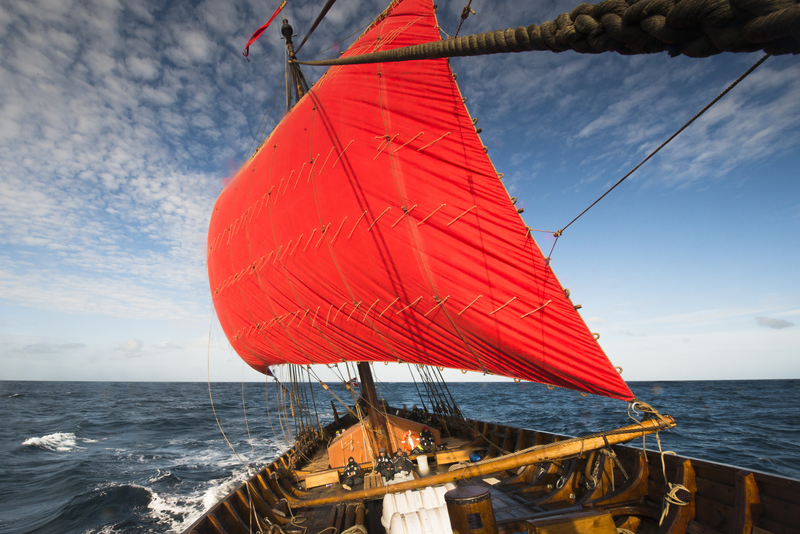 After a stop in New York City in September, the Draken Harald Hårfagre will winter at the wonderful Mystic Seaport Museum in Mystic, Connecticut. You can follow the voyage in real time on the expedition’s website and get updates from its Facebook page. If you’re interested in the construction and operation of the ship, check out its fascinating YouTube channel. 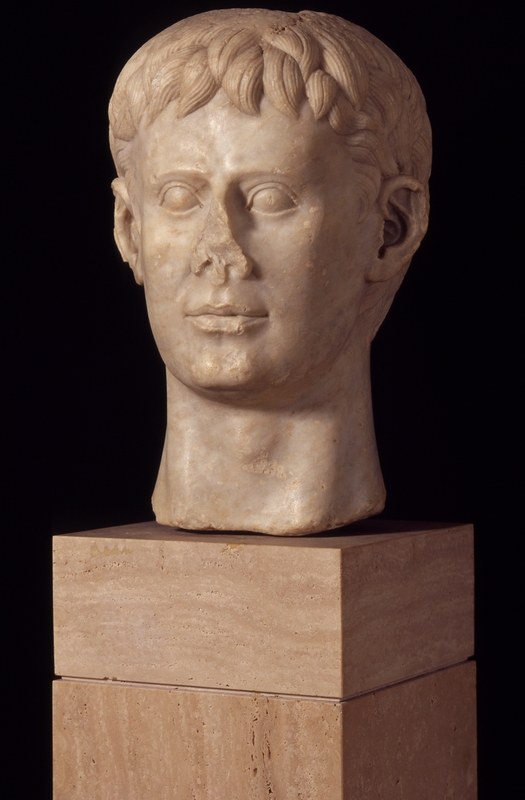 The British Museum has opened a new exhibition, Sicily: Culture and Conquest, which brings together more than 200 artifacts from 4,000 years of Sicilian history, many of which have never been to the UK before. 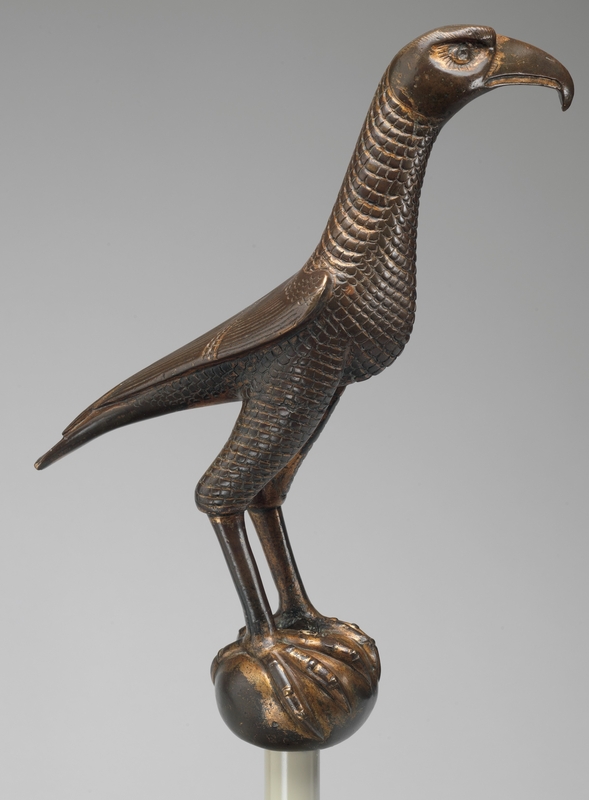 The exhibition focuses on two time periods when Sicily was at the forefront of art and culture: when it settled by Greek colonists in the 7th century and when it was ruled by Norman kings from 1100 to 1250. 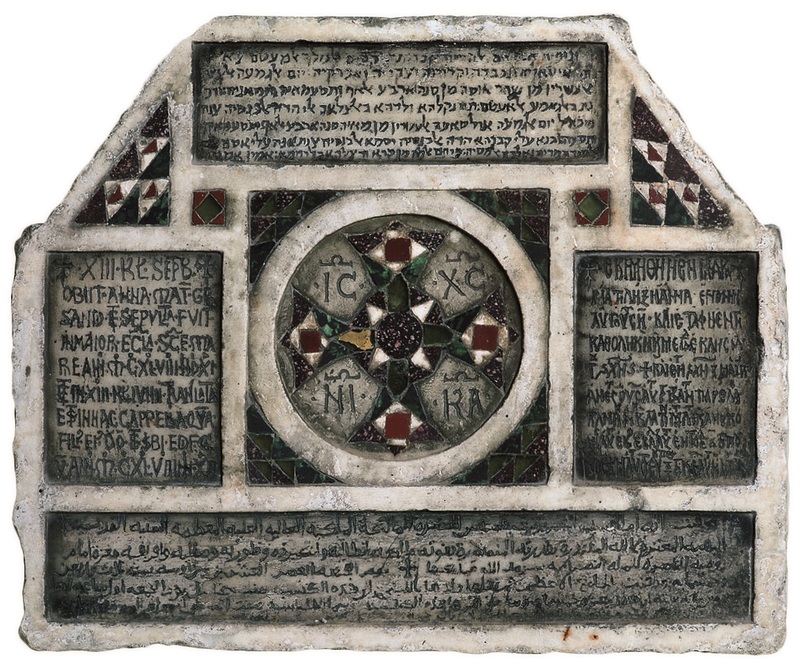 Objects on display include pieces from the British Museum’s collection, other institutions in the UK and elsewhere, and some spectacular pieces on loan from Sicily. 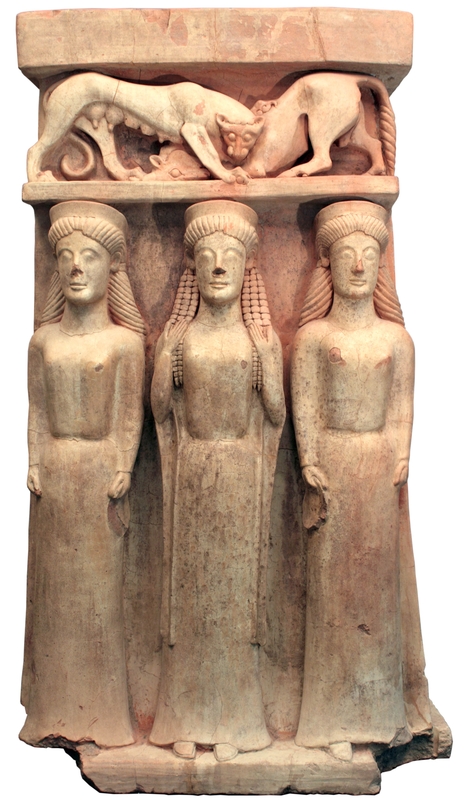 A rare and spectacularly well preserved, brightly painted terracotta altar, dating to about 500 BC, is one of the highlights of the loans coming from Sicily. 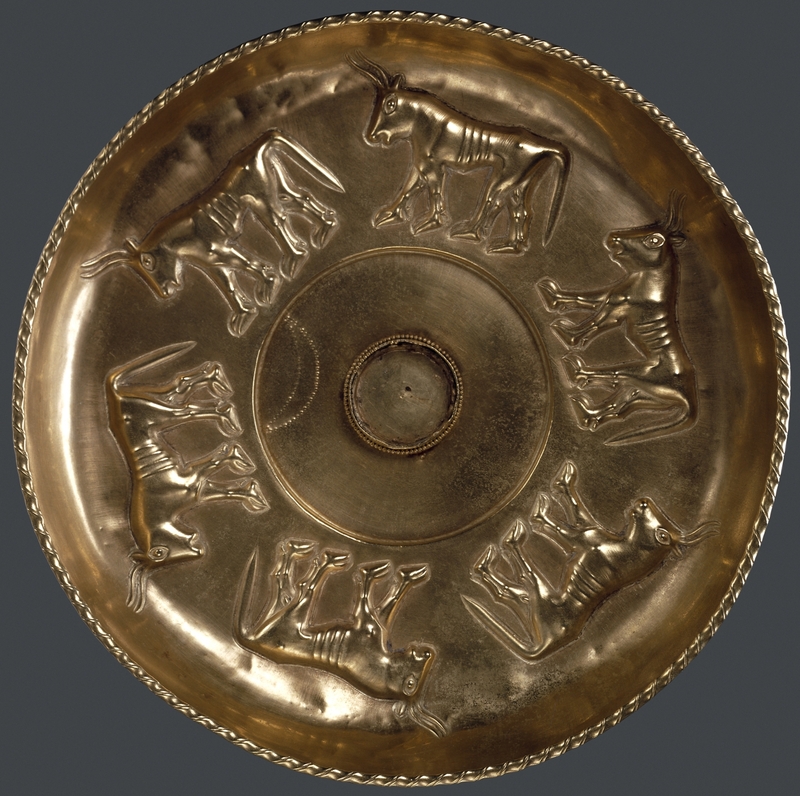 It shows a scene of an animal combat on the upper tier, while below stand three striking fertility goddesses. 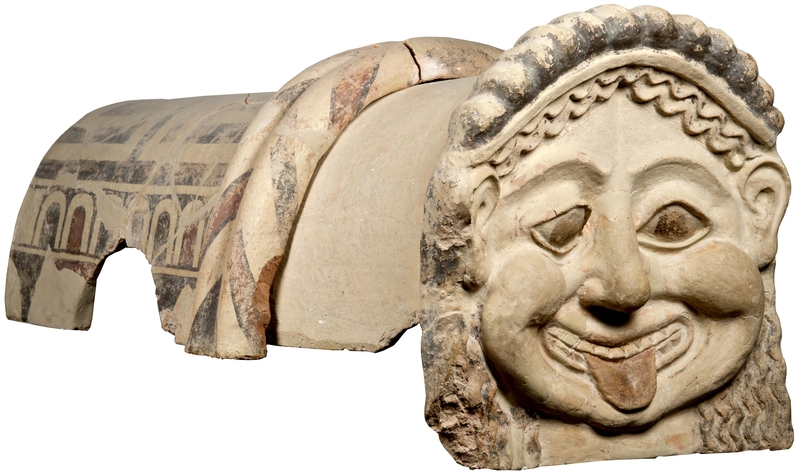 The British Museum is also fortunate to be receiving on loan a magnificent terracotta architectural sculpture of a Gorgon, the famous Greek monster, that was once perched on the highest point of a building at Gela in south-east Sicily. 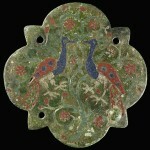 Terracotta ornaments were frequently used to decorate the upper levels of buildings on Sicily and are amongst the finest that have survived from the ancient world. 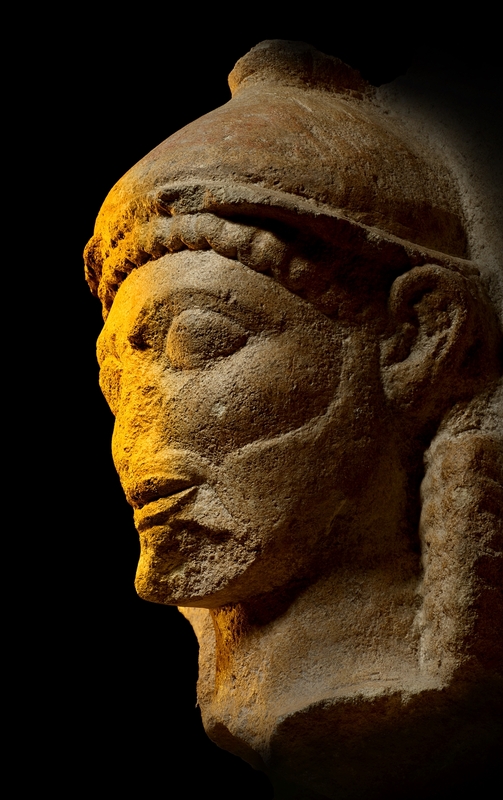 Another important Sicilian loan is a rare and iconic marble sculpture of a warrior from ancient Akragas, modern Agrigento. 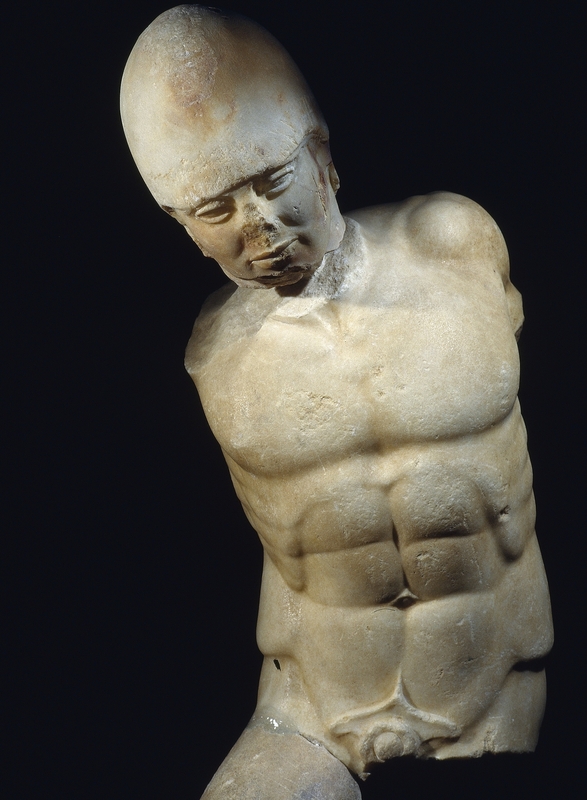 Marble statues were likely to have been commissioned, carved and imported into Sicily from overseas or made by local sculptors, trained in the Greek tradition. Such rare statues decorated major temples or were part of sculptural groups, most of which are long gone. 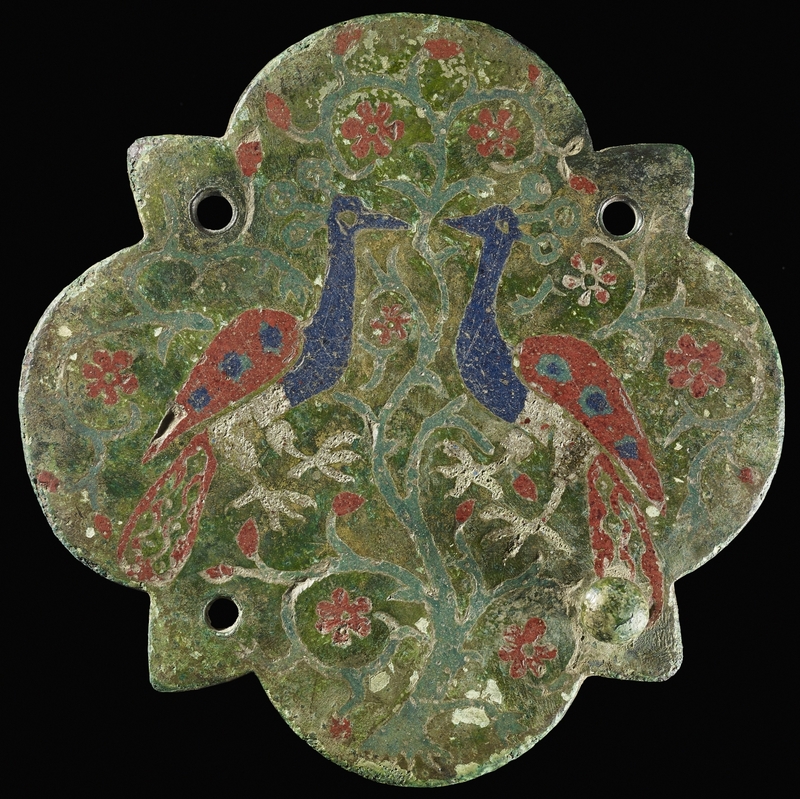 The pieces from the Norman era emphasize what a cultural crossroads it was. 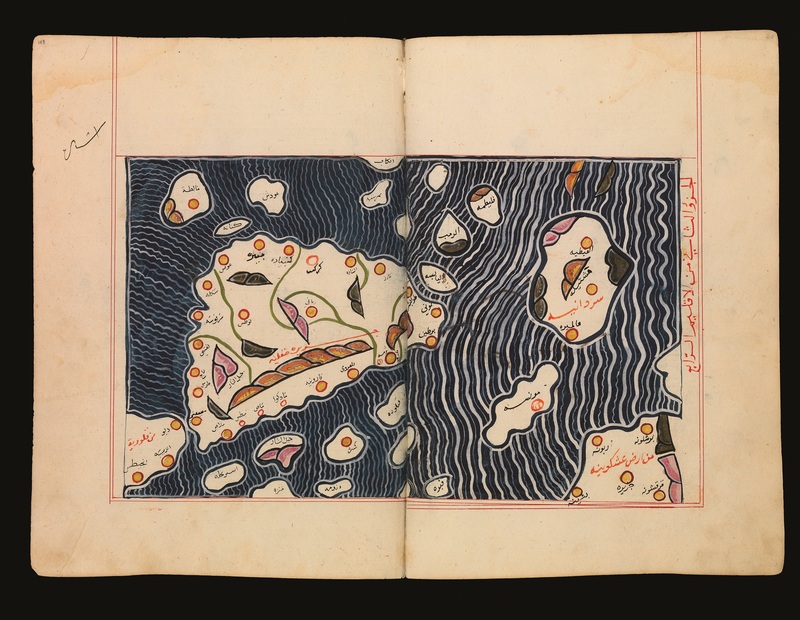 The Normans conquered Muslim Sicily in 1072 and the court took full advantage of the rich well of artistic talent from diverse cultures — Greek, Roman, Byzantine, Arabic — who had ruled the island before them. 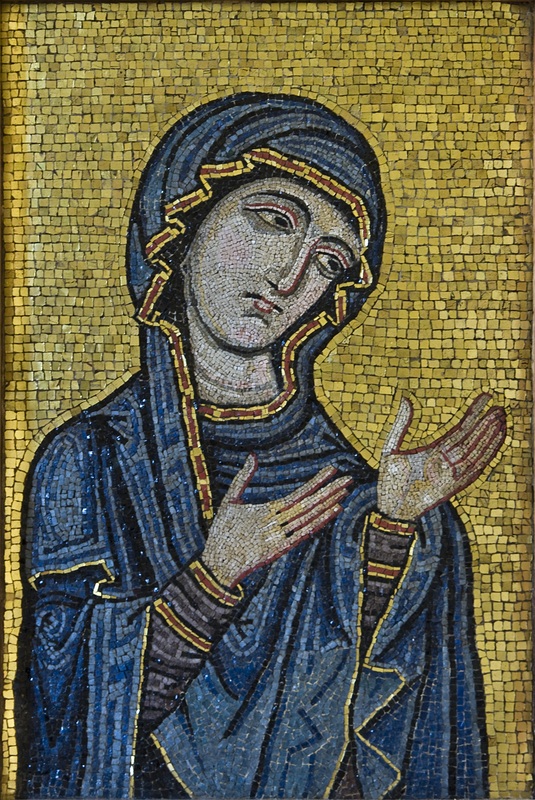 There’s a gold mosaic of the Virgin Mary of Byzantine style which is the sole surviving panel of the mosaics that once adorned Palermo Cathedral (only on display until June 14th), a 16th century copy of a 12th century map made by Arabic cartographer Muhammad al-Idrisi for the Norman King Roger II, and a funerary inscription installed by the Christian priest Grisandus for his mother Anna in 1149. 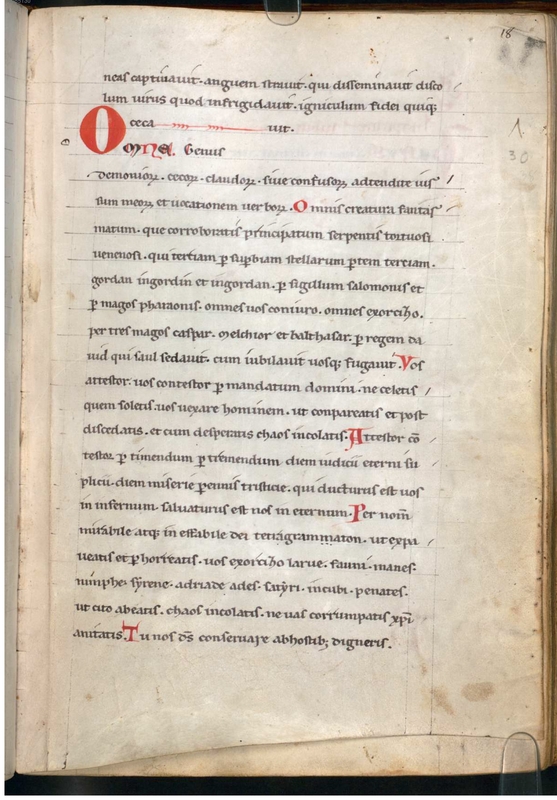 It features the eulogy in four different languages (well, three and a half): on top is Arabic written in Hebrew script, the left in Latin, the right in Greek and Arabic in actual Arabic on the bottom. 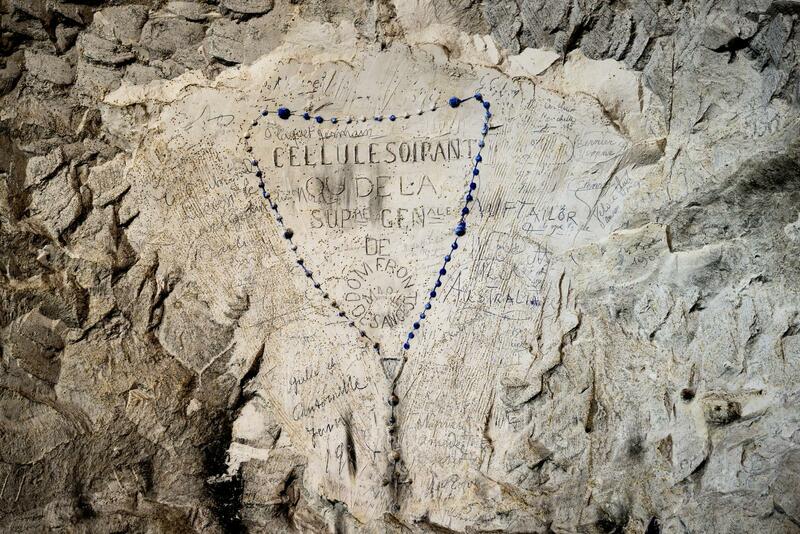 The multilingual approach was common in Norman Sicily, with public inscriptions often written in several languages. The exhibition runs through August 14th. 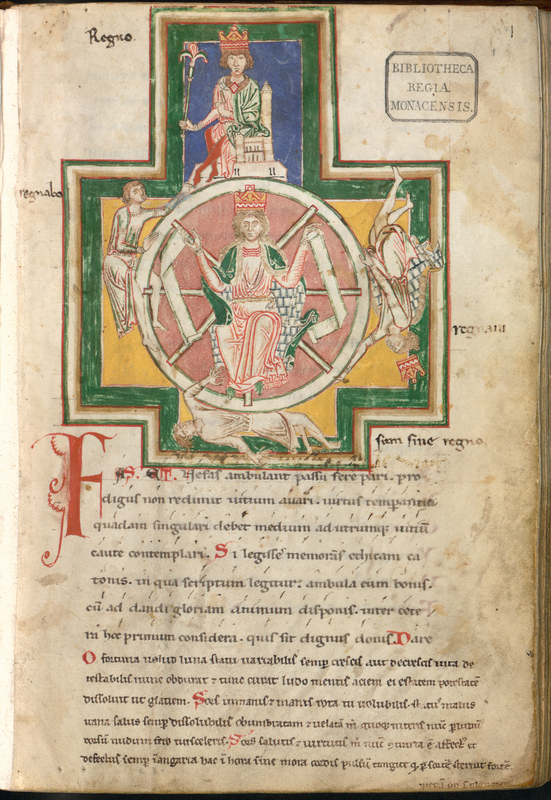 If you aren’t likely to make it London in time (or even if you are, really), you’ll enjoy this behind the scenes look at some of the more spectacular objects in the exhibition guided by curators Peter Higgs and Dirk Booms. And now, an avalanche of beautiful pictures. 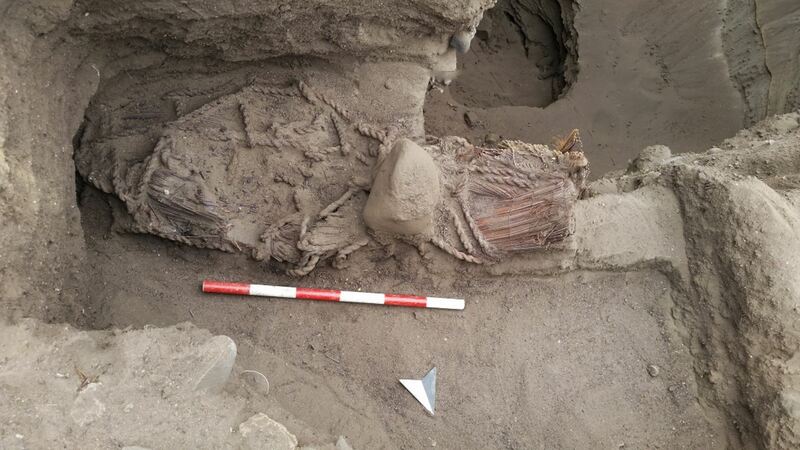 Archaeologists have discovered a 4,500-year-old burial at the archaeological site of Aspero, an ancient preceramic fishing town in northern Peru. Analysis of the bones revealed that the deceased was a woman about 40 to 50 years of age at the time of death. The burial was found in the Huaca of the Idols, one of two monumental platform mounds (earthwork terraced pyramids shored up with quarried stone walls and river rock fill which ranged in size from modest to huge) in the town. 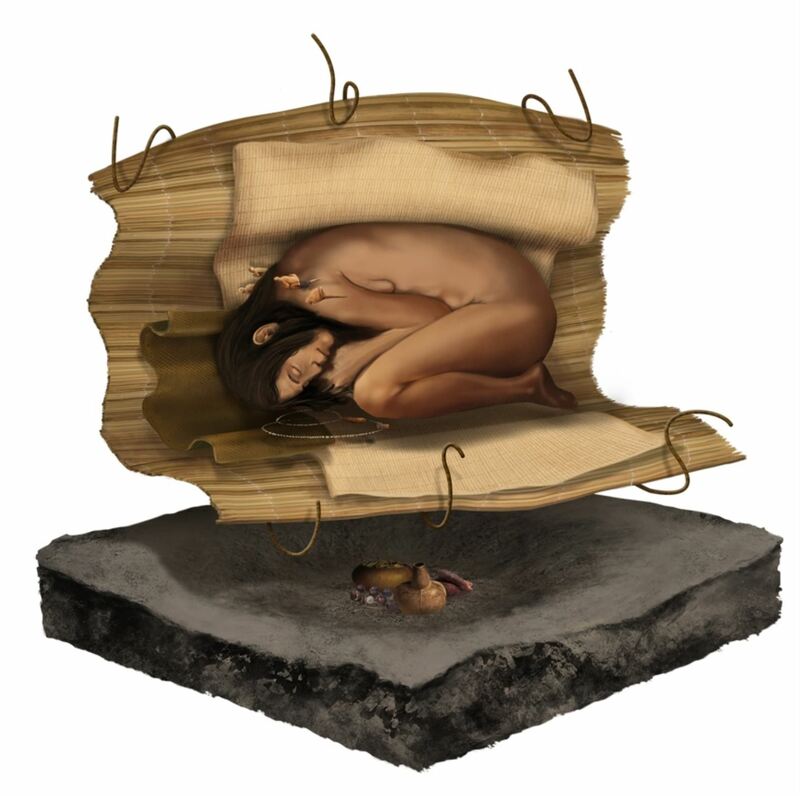 Her crouched body was wrapped in three layers, the inner two of cotton, the outer of reeds which was fastened closed with rope. 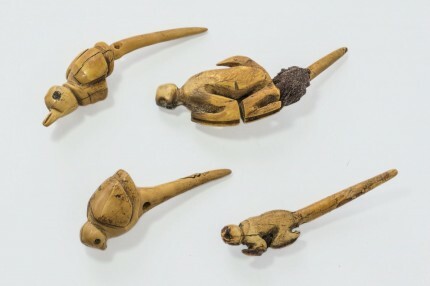 Buried with her was a pottery vessel containing the remains of vegetables and seeds, a bead necklace, a Spondylus pendant and four tupus, bone brooches carved in the shapes of birds and monkeys. 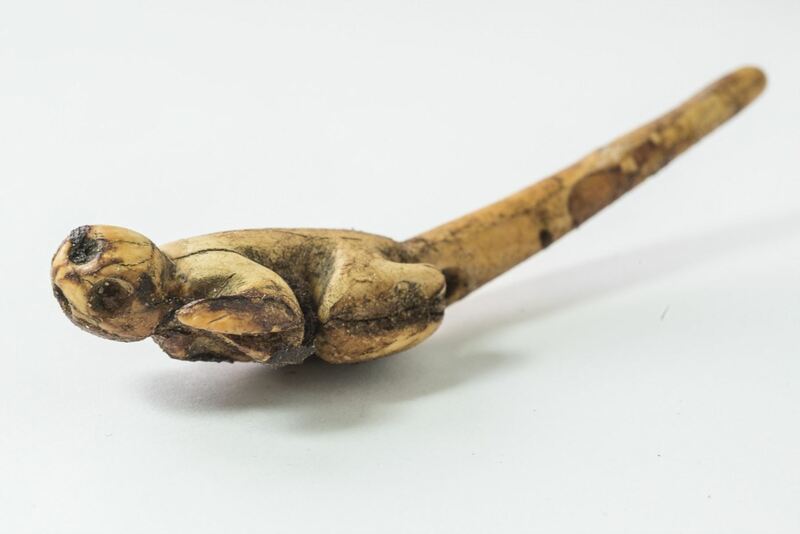 The wrapping of the body, the location of the burial and grave goods indicate the woman was a high rank personage of the Caral civilization, the oldest civilization in the Americas which dominated a network of settlements in the coastal area of north-central Peru from around 3500 B.C. 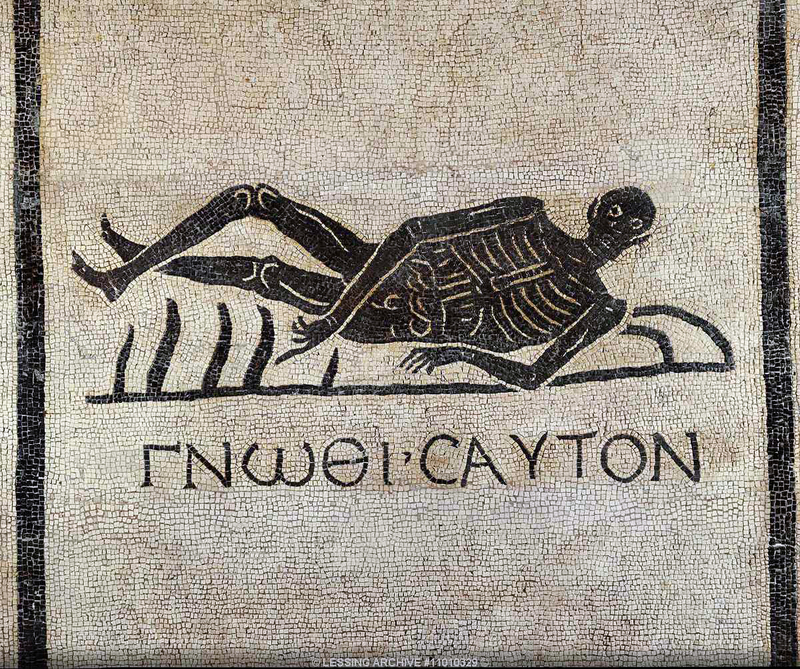 to 1800 B.C. First explored in 1905, Aspero was one of the first Caral sites identified by archaeologists before it was recognized as a civilization. Thorough, extensive archaeological documentation of the sites only began in the 1990s under the leadership of Dr. Ruth Shady (no relation to Slim) who named the civilization after the inland town of Caral which is believed to have been the biggest city and the oldest urban center in the Americas. Dr. Shady and her team discovered the remains of the woman in Aspero. 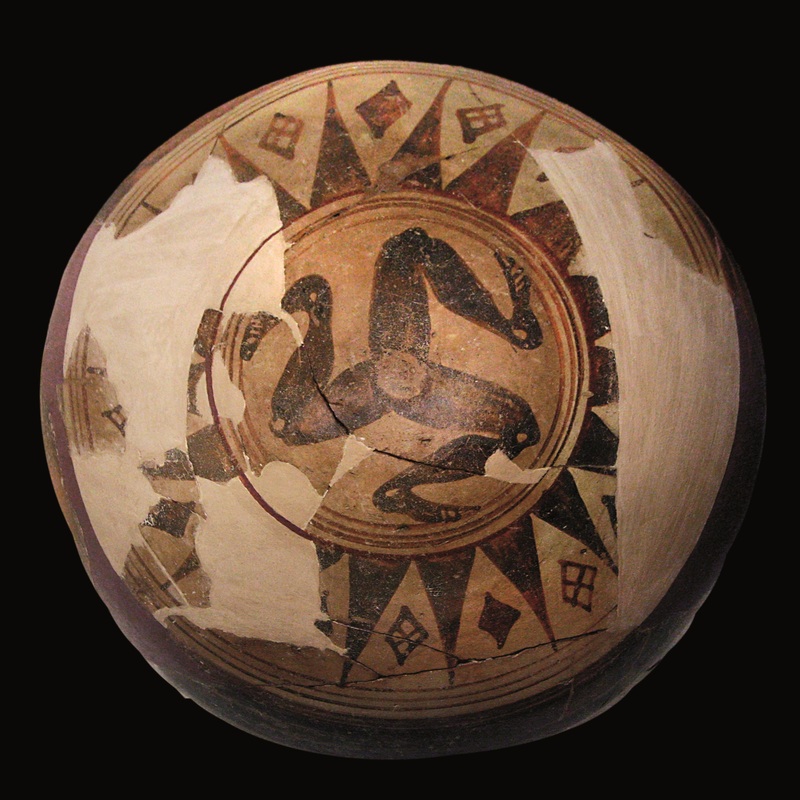 The combination of coastal and inland animals represented in the tupus is evidence of the close economic and cultural connection between the fishing-rich sites along the coast and the agricultural interior. Other than edible plants, the inland Caral towns appear to have focused on growing cotton which the coastal sites needed for their fishing nets. There’s also some evidence of maize being grown as a grain staple, but it seems fish was the primary source of food for coastal and interior towns. With the archaeological study of these sites still being in its adolescence if not infancy, the discovery of the burial of a high status woman will provide new insight into Caral society. 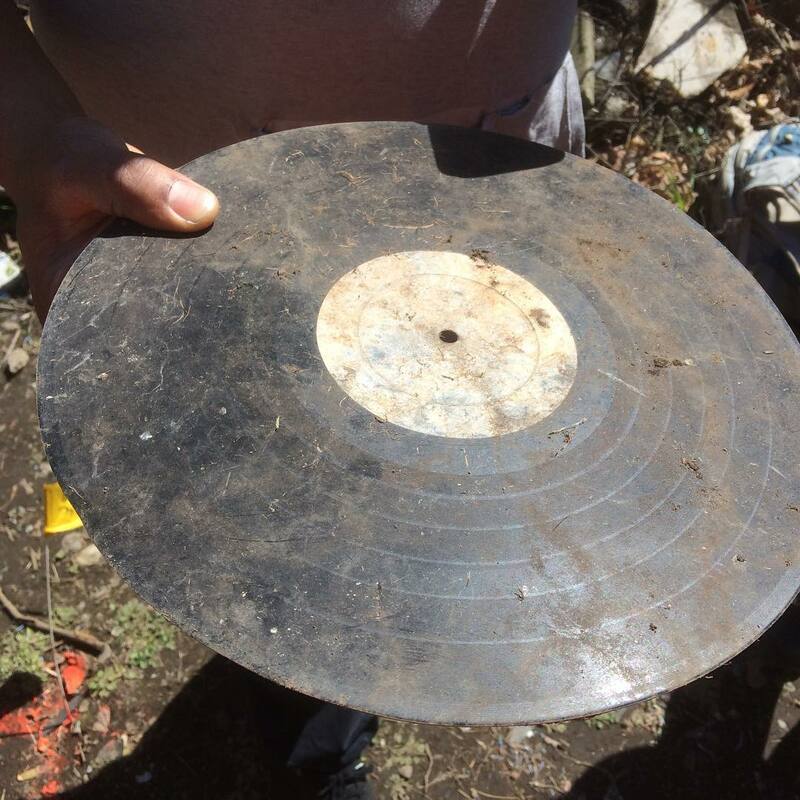 An archaeological excavation at the house Malcolm X lived in during his teens and early 20s has surprisingly unearthed artifacts from the 18th century. Built in 1874, the house at 72 Dale Street in Boston’s Roxbury neighborhood belonged to Ella Little-Collins, Malcolm’s half-sister who was his guardian after his mother was committed to a psychiatric facility in Michigan. 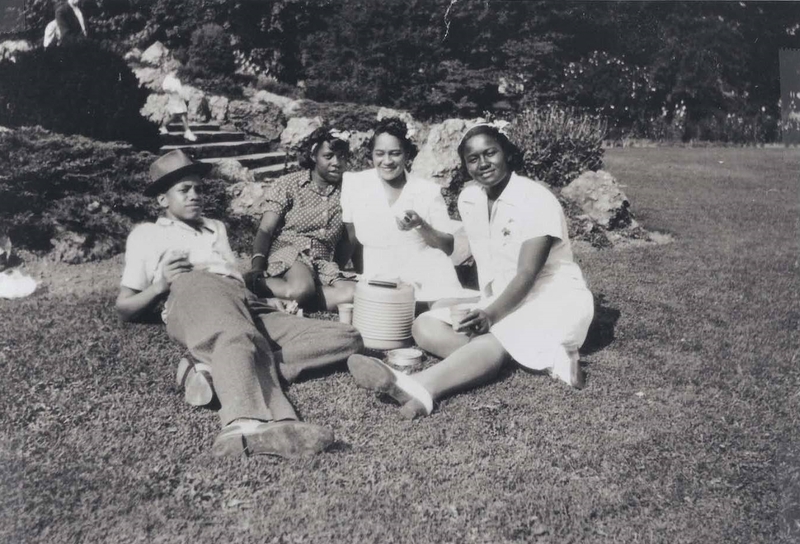 (Ella and Malcolm’s father was killed when Malcolm was just six years old.) He lived with her off and on from the age of 14 until he was 21. 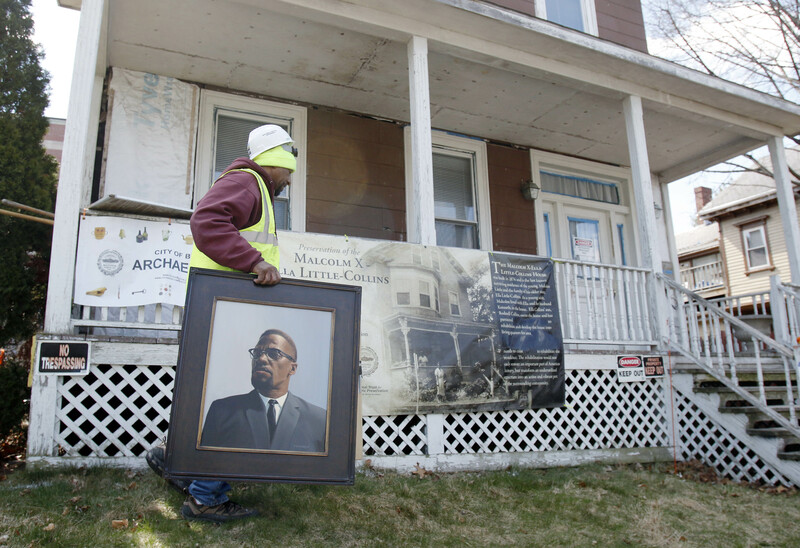 The house is the last boyhood home of Malcolm X known to survive. Ella could no longer bear to live in the house after Malcolm’s assassination in 1965, but she owned it until her death in 1996 when it passed to her son Rodnell Collins who is the current owner. Relatives stayed there instead, and when the last of them moved out in the 1970s, the house was left vacant for thirty years. 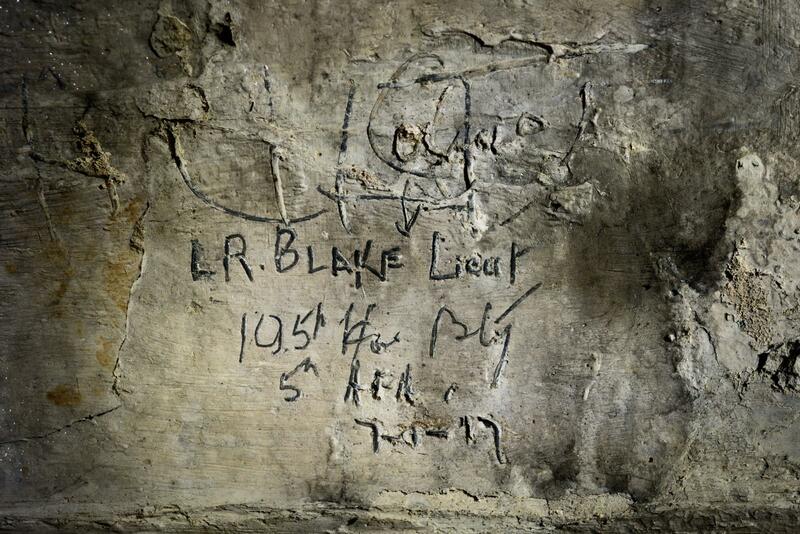 Its condition deteriorated, and even its designation as a historic landmark in 1998 didn’t stop the downward slide. Rodnell moved back in and invested $80,000 in repairs to the house to make it livable. 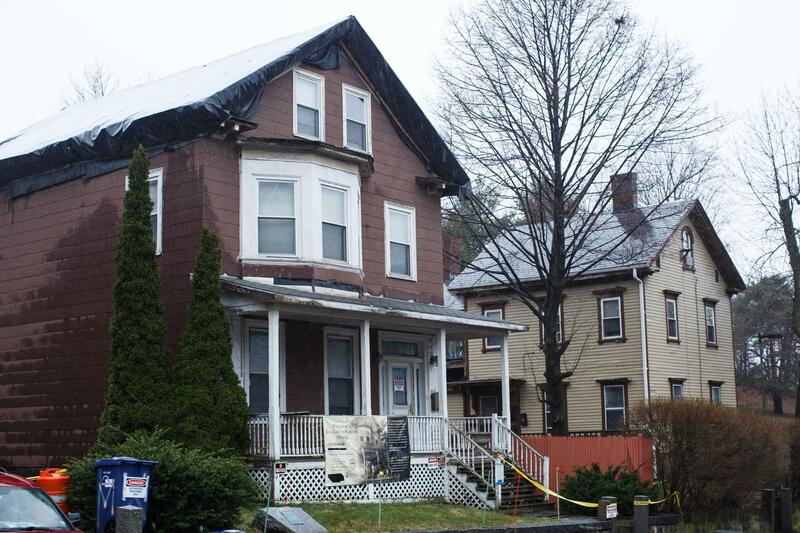 In June of 2012, the Malcolm X-Ella Little Collins House was named by the National Trust for Historic Preservation one of the country’s 11 Most Endangered Historic Places. This brought national attention to the home and its dire circumstances. 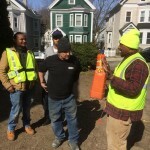 As a result, Historic Boston, Inc., received several grants which allowed them to do a comprehensive assessment of the structure and stabilize it to prevent further damage. 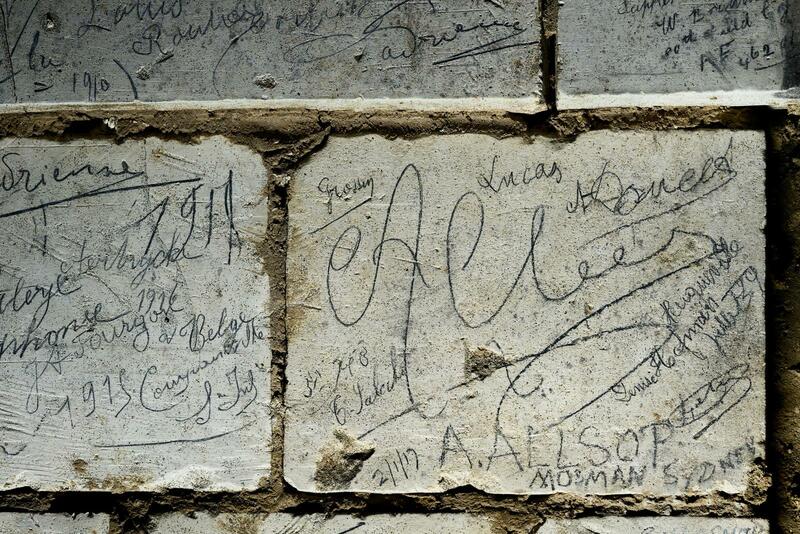 Now the Collins family plans to fully restore the house with the aim of opening it for tours. Rodnell Collins, 71, will be the guide, which is going to be amazing because he was actually there when Malcolm was. He has so many memories to share. 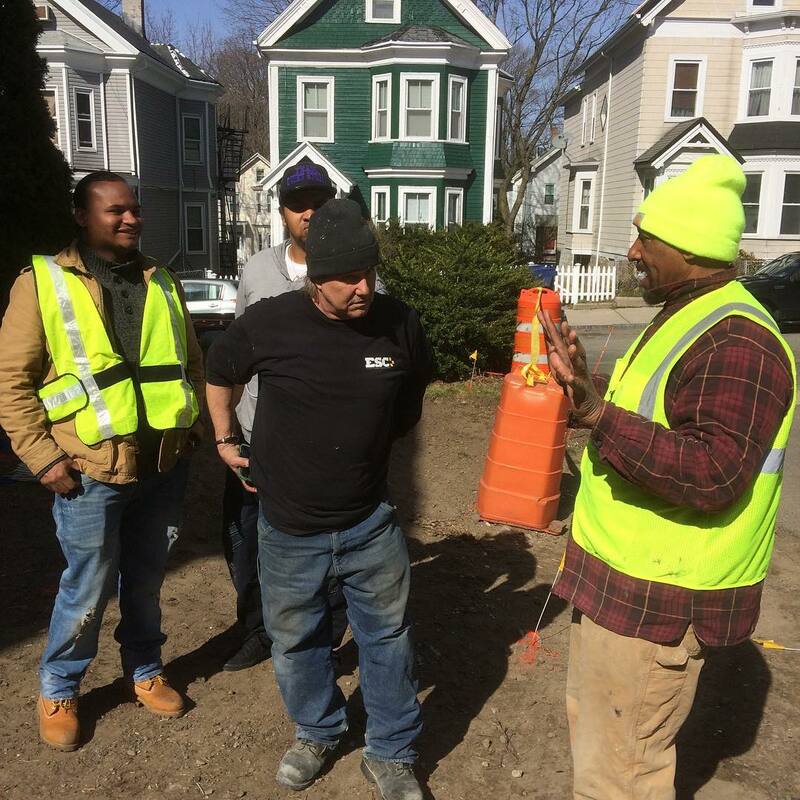 The first step in the restoration is shoring up the foundations. Since the yard is going to be dug up anyway, archaeologists have the opportunity to excavate it first. 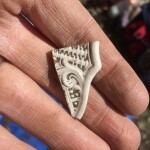 The Little-era artifacts were expected, as were the pieces of 19th century pottery. The fragments of 18th century ceramic, on the other hand, were decidedly unexpected. According to the municipal archives, the house, indeed the entire street, was built on agricultural land, farmed since the 1600s. 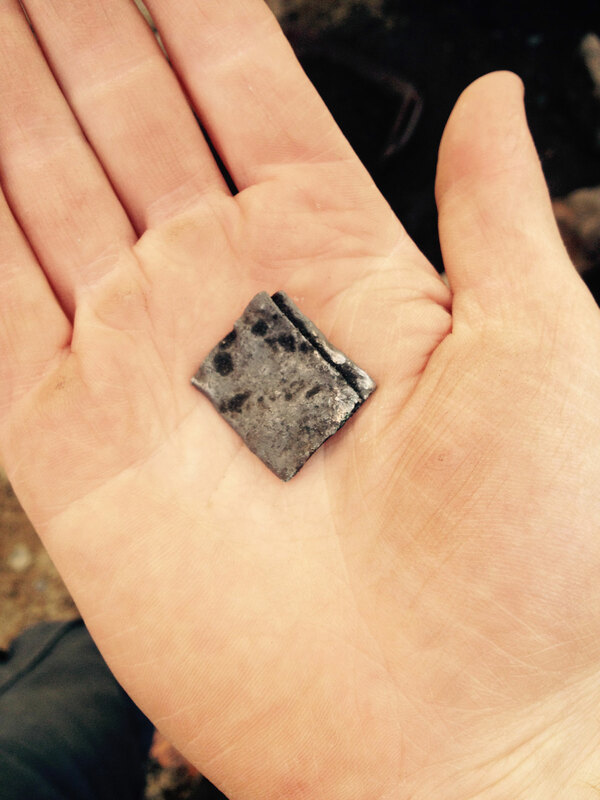 The artifacts suggest there may have been an unrecorded building on the site. 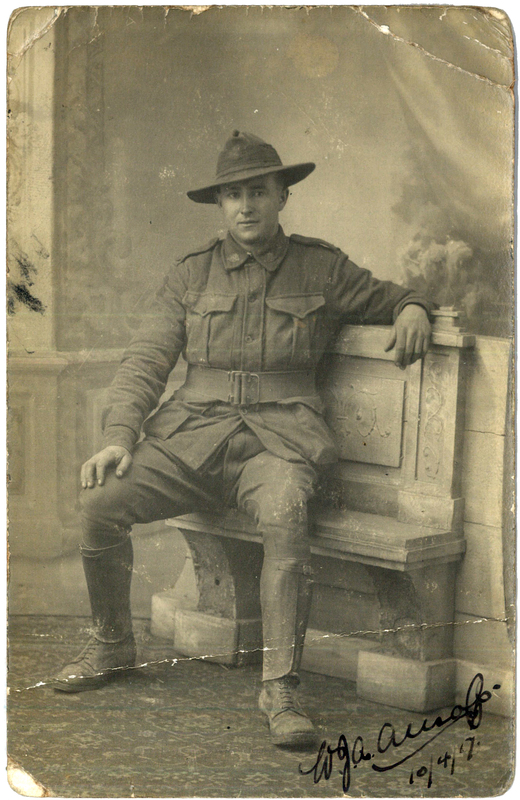 To add to the historical richness, Jack Hallion, son of a man who grew up in the house and whose family sold it to Ella and Kenneth Collins in 1941 unexpectedly visited the dig on March 30th. Nobody contacted him or anything. The excavation was open to the public every day and received a great deal of local press, so he just stopped by to add two more generations of background to the story. The dig was originally scheduled to run through April 8th, but five inches of snow forced a work stoppage. 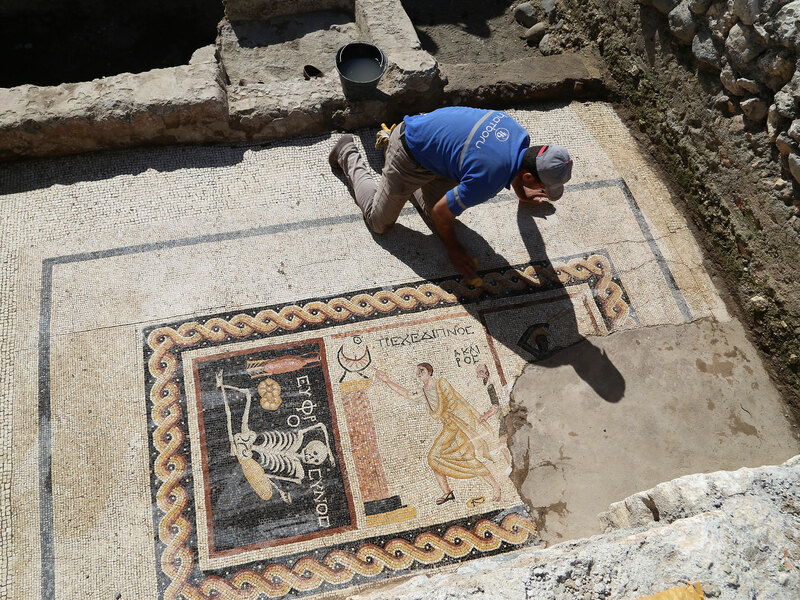 Excavations will resume on May 16th. 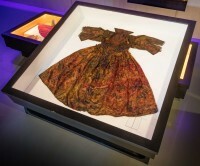 Historians Helmer Helmers from the University of Amsterdam and Nadine Akkerman from Leiden University have identified the owner of the silk gown found in the Wadden Sea off the island of Texel in North Holland. 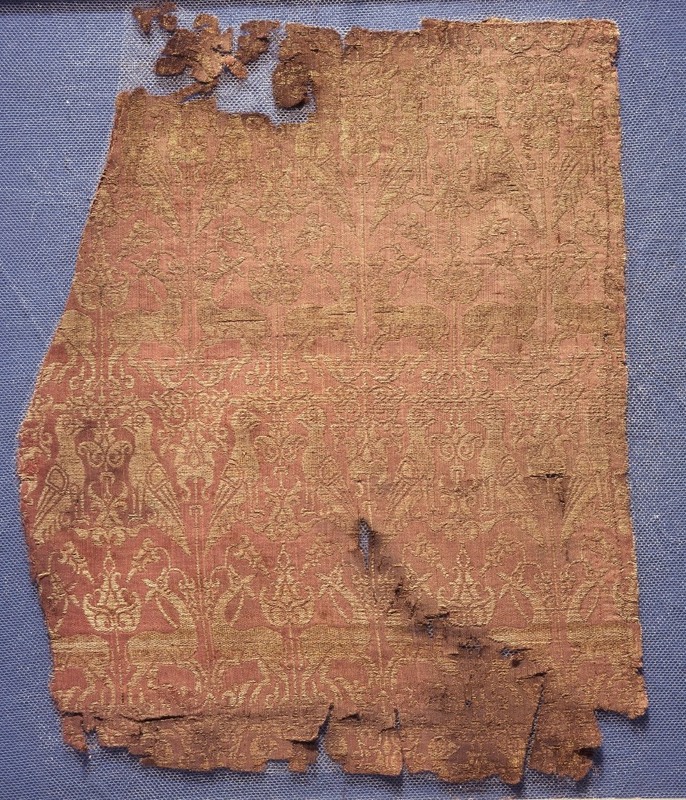 It belonged to Jean Kerr, Countess of Roxburghe, lady-in-waiting to Queen Henrietta Maria. There’s a portrait of her on Adel Foundation’s website that they were able to get from the collection of Floors Castle, seat of the current Duke of Roxburghe and Scotland’s largest inhabited castle. The photo leaves much to be desired, I’m afraid, but she’s wearing a dress that is somewhat reminiscent, albeit more elaborate, of the one wrecked at sea. 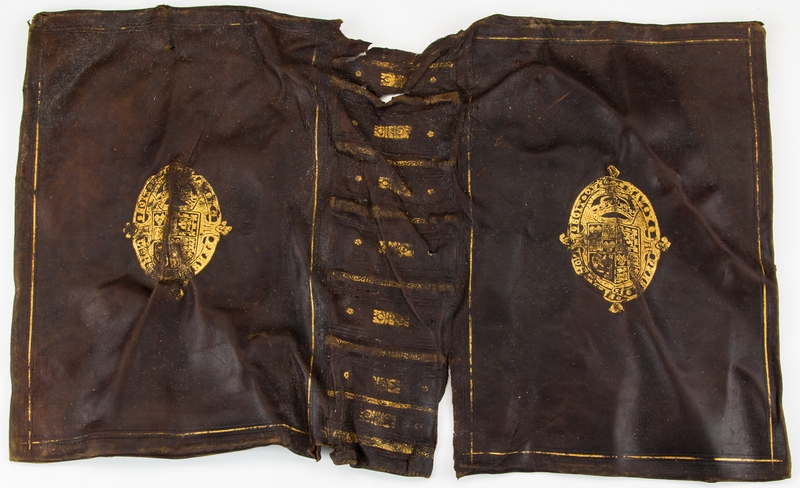 There were two key clues to the identity of the gown’s owner: the ship sank in the first half of the 17th century, and the leather book cover stamped with the coat of arms of King Charles I, the second Stuart king of England, Scotland, and Ireland. 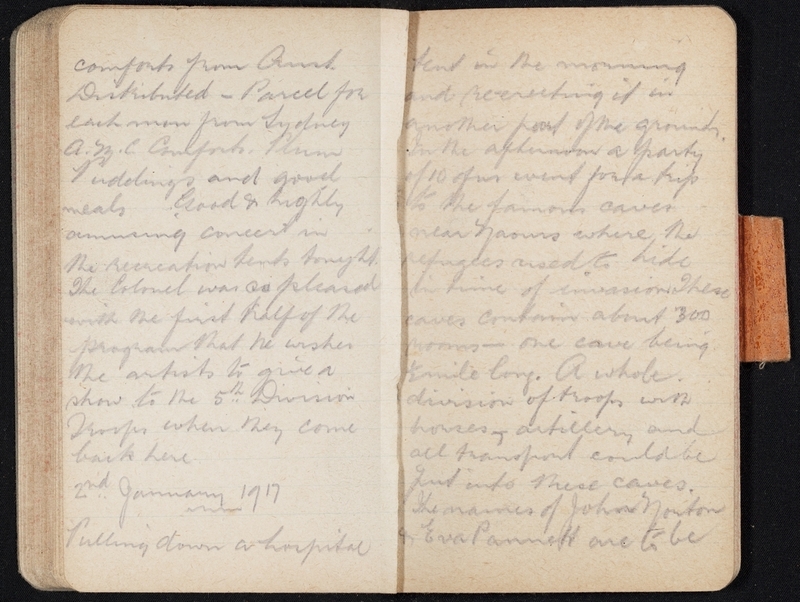 As soon as Nadine Akkerman was apprised of the find, she remembered a letter she had transcribed in 2006 written by Elizabeth Stuart, sister of Charles I and exiled Queen of Bohemia, to her old friend the diplomat and Member of Parliament Sir Thomas Roe. The letter, dated March 17th, 1642, tells how her sister-in-law Queen Henrietta Maria lost a baggage ship on the voyage from England to Holland. Her two ladies-in-waiting and their maids lost their clothes and accessories; the queen lost some silver vessels from her private chapel. The style and size of the gown strongly indicate it belonged to Jean Kerr. The Countess of Roxburghe was born around 1585. She was descended through her maternal line from Robert II, the first Stuart King of Scotland, which made her a very high-ranking lady. She was Mistress of the Robes to the court of James I and Queen Anne, both of whom attended her marriage to Robert Kerr, 1st Lord Roxburghe, in 1614. Three years later she was dismissed from Court when her husband tried to finagle a political appointment without the knowledge of the Queen, but in 1631, with a new King, Charles I, and Queen, Henrietta Maria, on the throne, she made her way back to Court and was appointed governess to the infant Princess Mary. 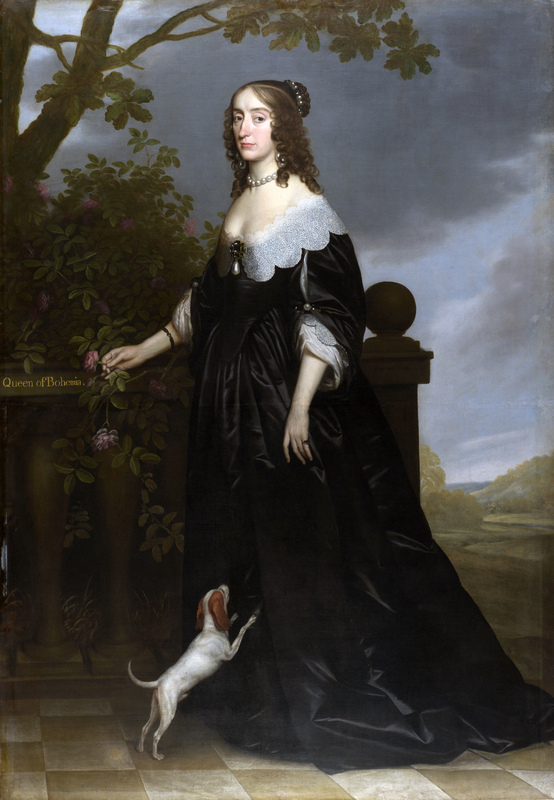 She was later made governess to Princess Elizabeth (born 1635) and Prince Henry (born 1640). This voyage to Holland was an infamous one. 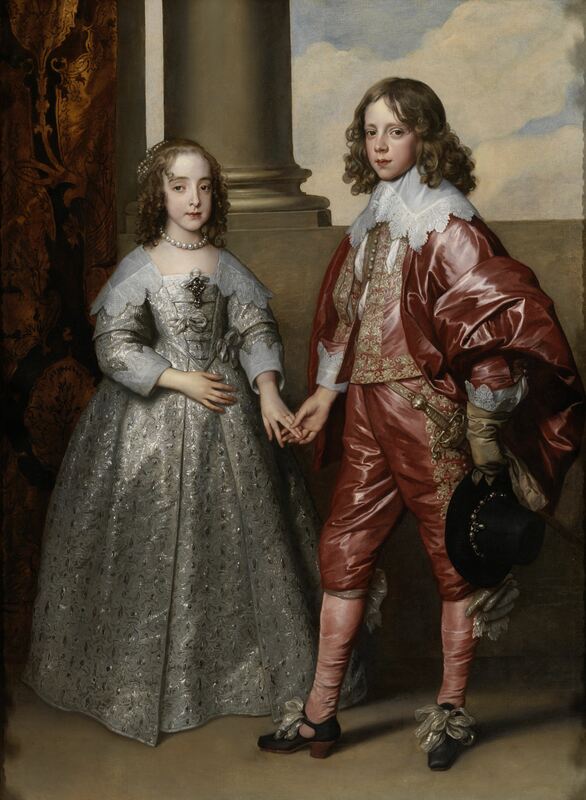 The ostensible purpose of the trip was to deliver Charles and Henrietta Maria’s daughter Mary, then ten years old, to her 15-year-old husband William, son and heir of Frederick Henry, Prince of Orange. Their wedding had taken place on May 2nd, 1641, in London. Reuniting the couple was a convenient pretext for Henrietta Maria to leave England and head for the continent where she could drum up support for the Royalist cause. Her baggage was actually far more significant than her daughter. On February 23rd, 1642, Queen Henrietta Maria set sail from Falmouth with her daughter, her ladies-in-waiting, and the Crown Jewels. She also carried large quantities of silver and jewels that belonged to her and Charles personally, including those vessels from her chapel that were lost in the Texel wreck. The real reason for the trip to Holland was to sell or pawn these treasures, the most valuable of which were the patrimony of Britain, to fund a war against the British. Holland was the biggest market for the trade in high-end jewels and precious metals, so her daughter’s marriage to the heir of Orange was the perfect screen for her real intent. Henrietta Maria arrived at The Hague on March 11th, 1642, where she was met by Elizabeth Stuart who had moved to The Hague after her exile. The loss of the baggage ship, while inconvenient as losing your luggage still is even now that it’s in airports instead of the bottom of the ocean, didn’t slow her down a bit. Mere days after her arrival, she was already trying to cut deals for the sale/hocking of the valuables that she’d kept with her. This wasn’t exactly a stealth operation. In 1641 Parliament had officially protested that a plan of hers to take the waters at Spa, in what is now Belgium, for her health was in fact a blatant attempt to “convey great Sums of Money, and other Treasure, beyond the Seas; which will not only impoverish the State, but may be employed to the Fomenting some mischievous Attempts, to the Trouble of the publick Peace.” They were right, of course. Henrietta Maria was an active partner in Charles’ military and political ventures, often an instigator. 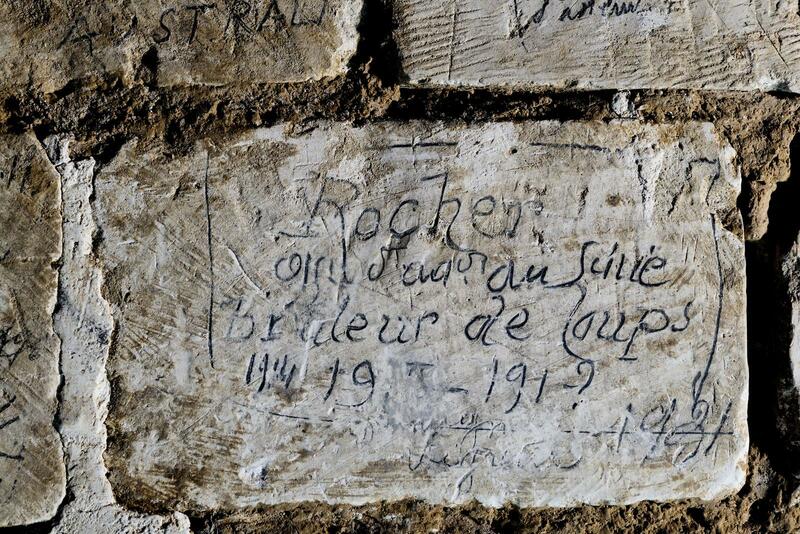 She was a French Catholic — double trouble to English Protestants — and had an enormous influence on her husband. Her attempt to sell England’s Crown Jewels to fund a war against their (also British) enemies was the kind of machination that confirmed the worst suspicions about her and Charles. As for Jean Kerr, after she accompanied her young charge Princess Mary to The Hague, she turned around almost immediately, returning to her even younger charges, Elizabeth and Henry. She died just a year later, on October 7th, 1643.